Justin Boston’s career in NASCAR’s lowest national touring level, the Camping World Truck Series, wasn’t very long, but the aftermath of that stint has been. While Boston has run just 10 truck races total, repercussions of an alleged $25 million defrauding scheme that helped fund his racing career have yet to end. Justin Boston ran nine races with former race team Kyle Busch Motorsports in 2015, with an average finish of 16th. The family company, an electronic-waste recycling firm called Zloop and founded by his father, Robert Boston, and a business partner, Robert LaBarge, in 2012, sponsored his race truck. After a May indictment said Robert Boston and LaBarge faced multiple charges of fraud and money laundering in connection with the company, ESPN reports that a North Carolina jury ruled that Justin Boston himself owes former race team Kyle Busch Motorsports nearly $450,000 for breach of contract. A North Carolina jury ruled last week NASCAR driver Justin Boston owes Kyle Busch Motorsports $442,561 for breach of contract, according to court records. 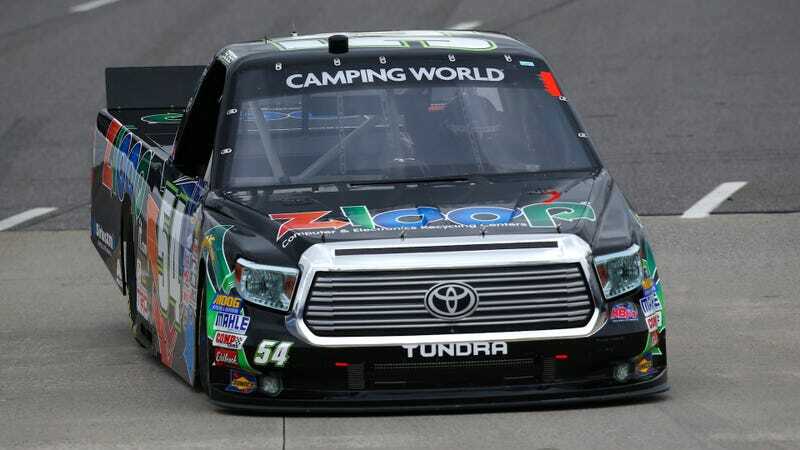 Boston drove 9 truck races for KBM in 2015, and KBM sued Boston, Boston’s father and his father’s company, Zloop, alleging $650,000 in missed payments to fund Boston’s ride. Zloop eventually filed for bankruptcy, and Boston’s father was indicted on fraud allegations, including using investor money to fund Justin’s racing. As part of Zloop bankruptcy proceedings, KBM returned $462,500 of the $1.55 million it had received from the Bostons. KBM then went to trial to get that money from Justin. Justin’s attorney said an appeal is being considered. But Justin Boston’s court rulings with Kyle Busch Motorsports, which released him during the season, are minor compared to the charges on his father: The May indictment charged Robert Boston, 53, and LaBarge, 50, of wire fraud, securities fraud, bank fraud and money laundering in connection with an alleged scheme involving Zloop. The indictment against Robert Boston and LaBarge alleged that the two opened fraudulent credit lines and loans in order to buy expensive real estate, private planes, cars, a football suite. More than $500,000 from one credit line, the indictment alleged, went to fund Justin Boston’s rather average racing career. Consider the consequences and don’t allegedly commit fraud in general, everyone, but really don’t allegedly commit fraud to go out on a race track and finish in the middle of the pack for a few races before you get caught.